The suppression of the slave trade also involved efforts to make treaties with African rulers. 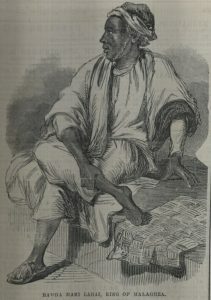 Mami Lahai was the King of Malaghea, a Mandingo polity. The Illustrated London News, 11 August 1855. Courtesy of University of Missouri Libraries.